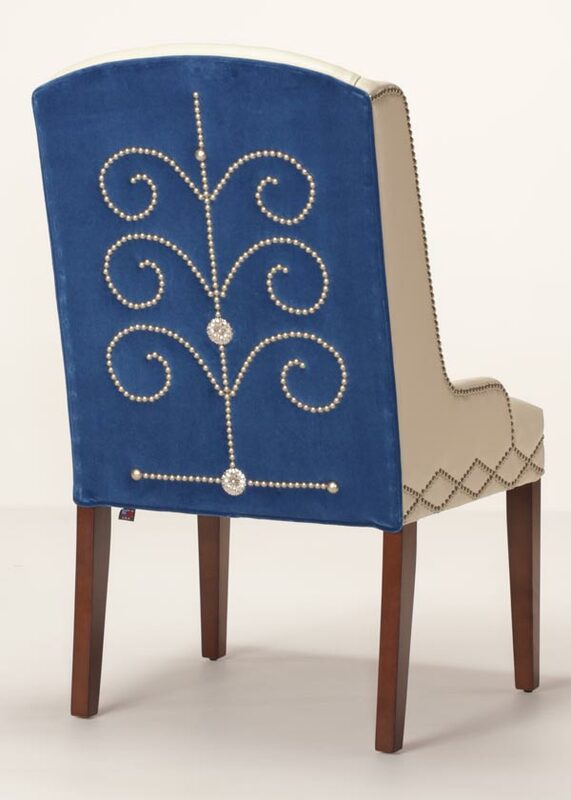 Nailhead trim is a beautiful addition to many furniture styles. 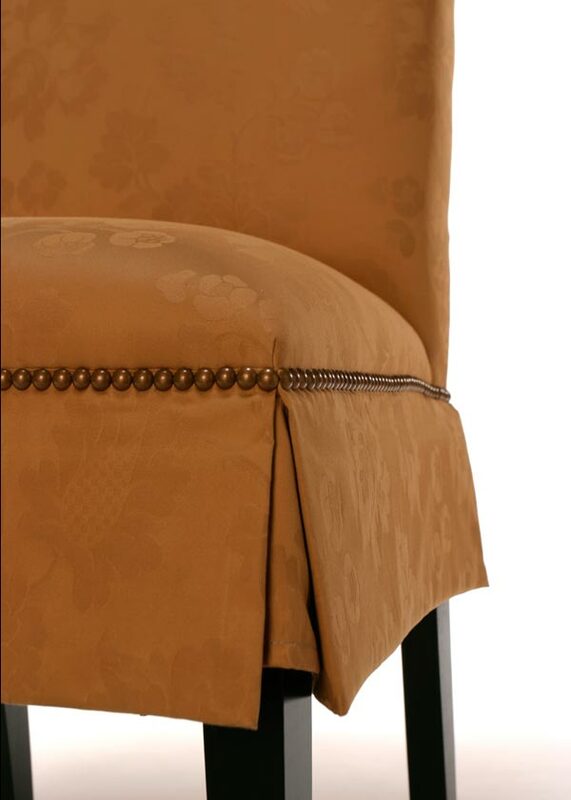 It is a laborious task--each nail is applied by hand and it takes a true artisan to get everything just right. 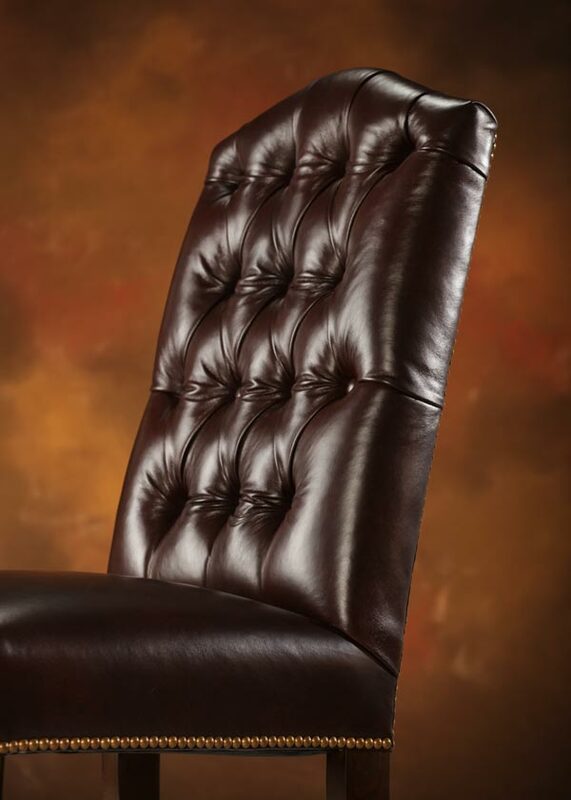 While many of our styles have nails, they can be added to just about anything we make. 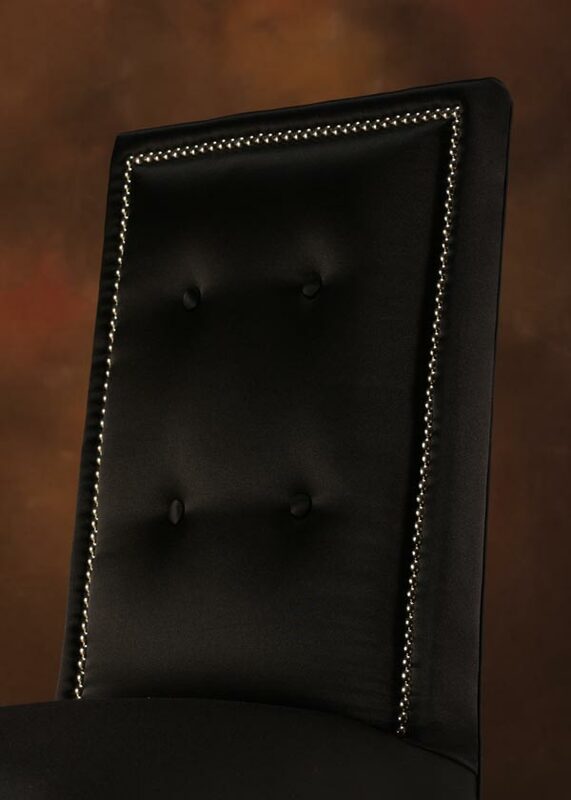 We encourage our customers to make custom creations, so this nailhead guide is more of a resource to get your creative juices flowing. 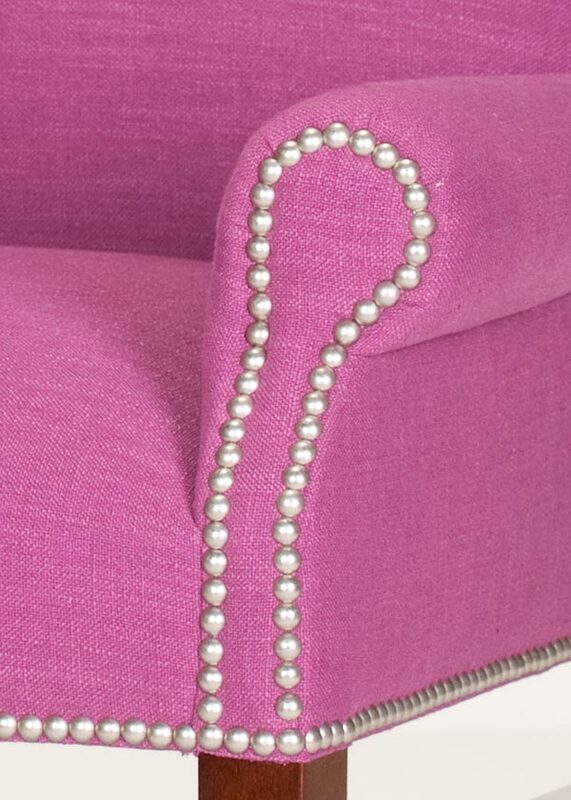 If you want to add nails to a style that doesn't already have them or create a new pattern, feel free to call or email one of our Design Consultants for a quote. Nails are perfect at enhancing contours or emphasizing certain features of a design. Below are several examples that illustrate this concept. 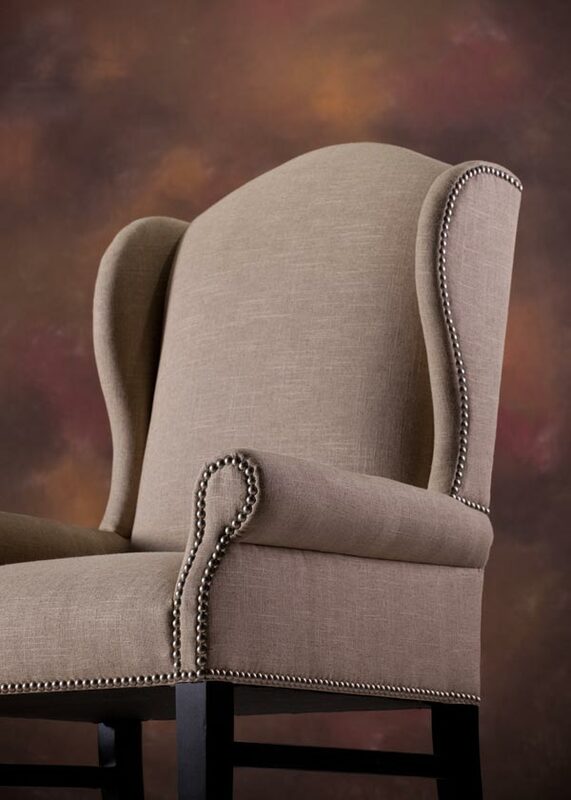 Nailhead defines the arms and wings on this wing chair. 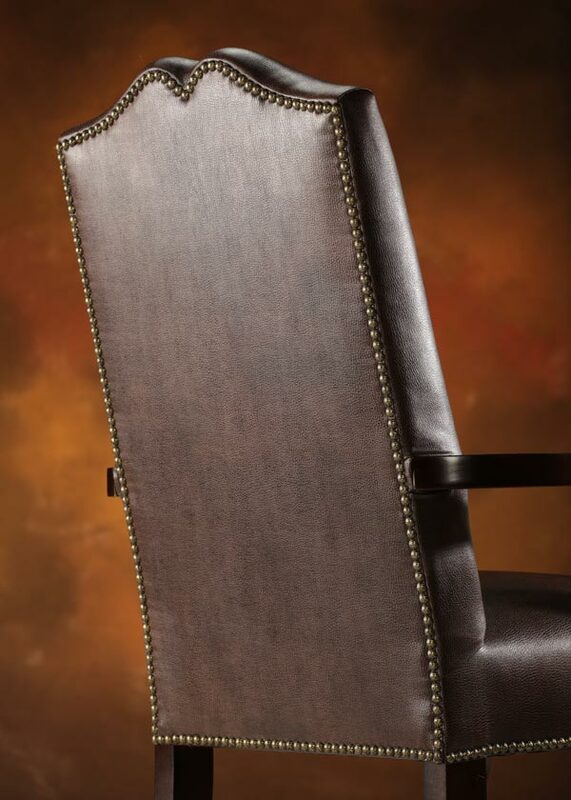 Inset nails trace the shape of the back on this Parsons Chair. 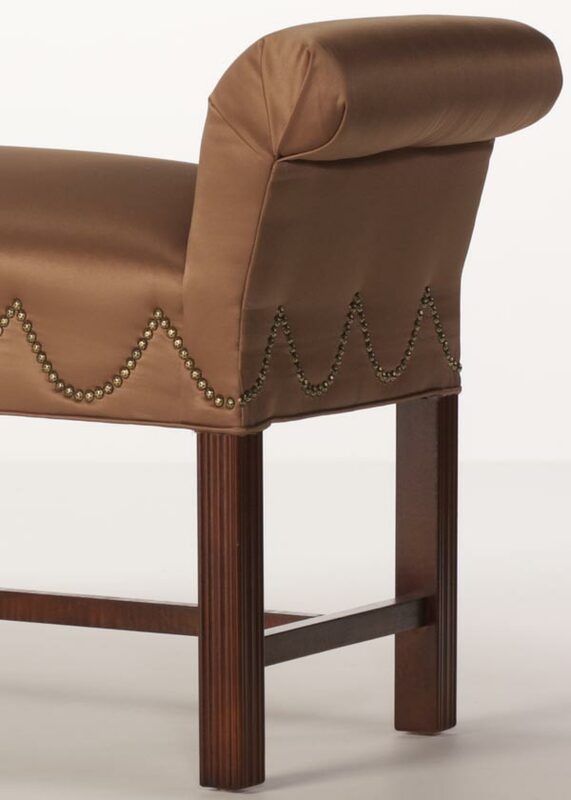 A skilled upholsterer can create amazing patterns with nails. Just about any arrangement can be put together, so don't feel like you're limited to the patterns below. They are just a starting point to get you thinking about all the possibilities. 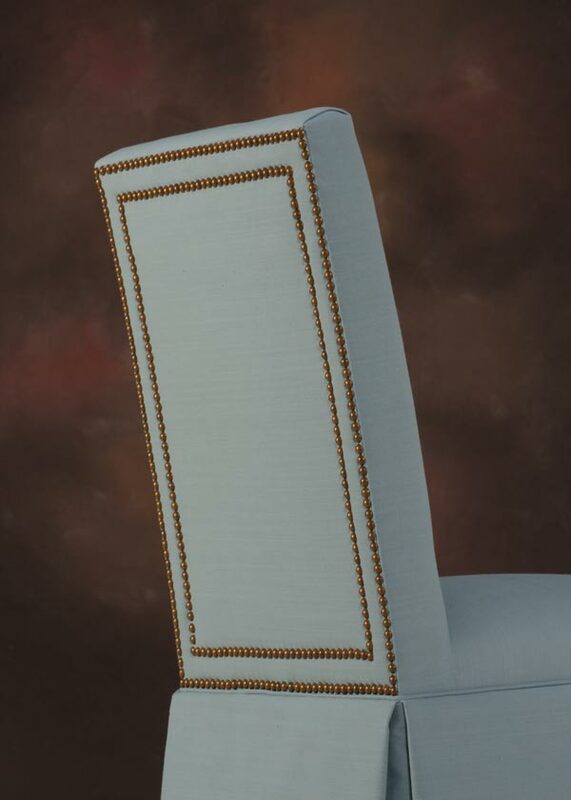 Parallel rows of nailhead trim. 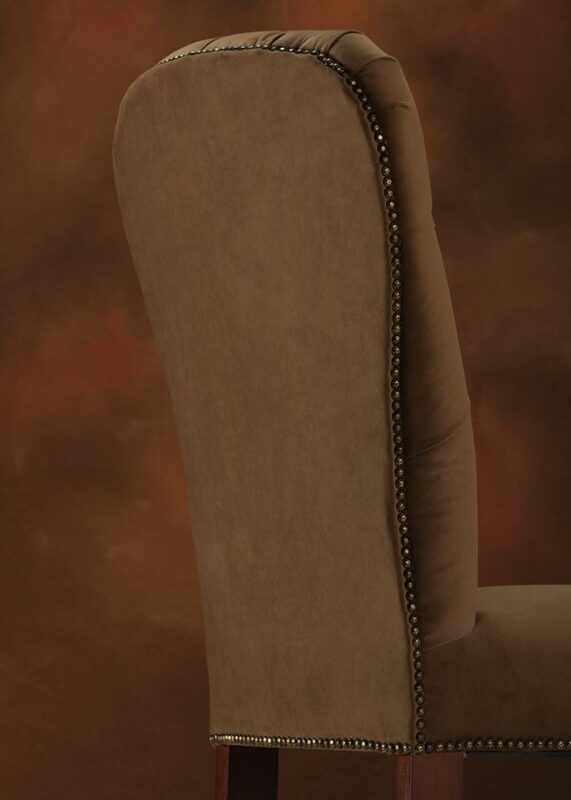 A double row with a "stepped" stepped appearance. 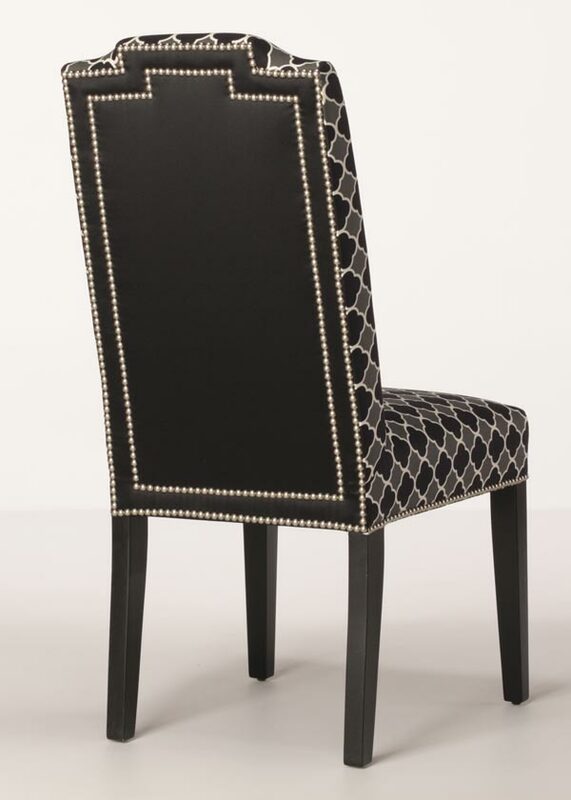 Nailhead in a wave pattern. Large nails with broad spacing. 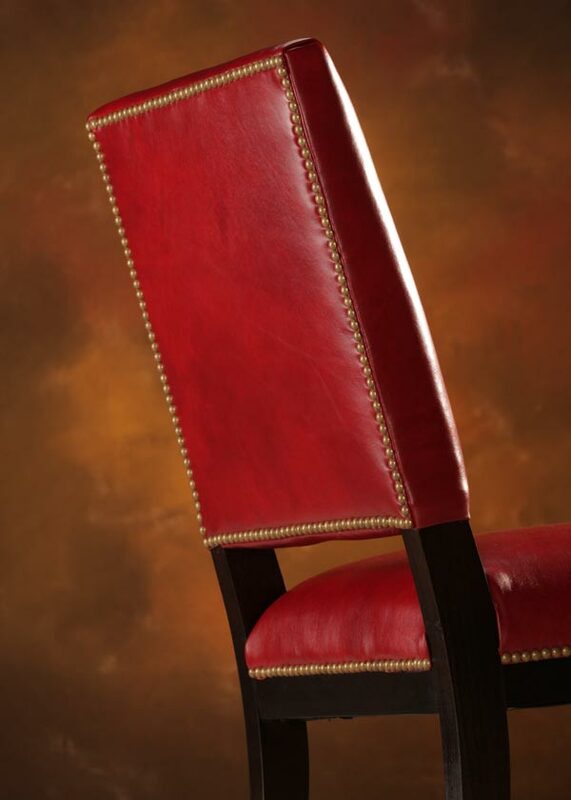 Customized designs can be simple or complex. Below is an intricate pattern with several different types of nails. 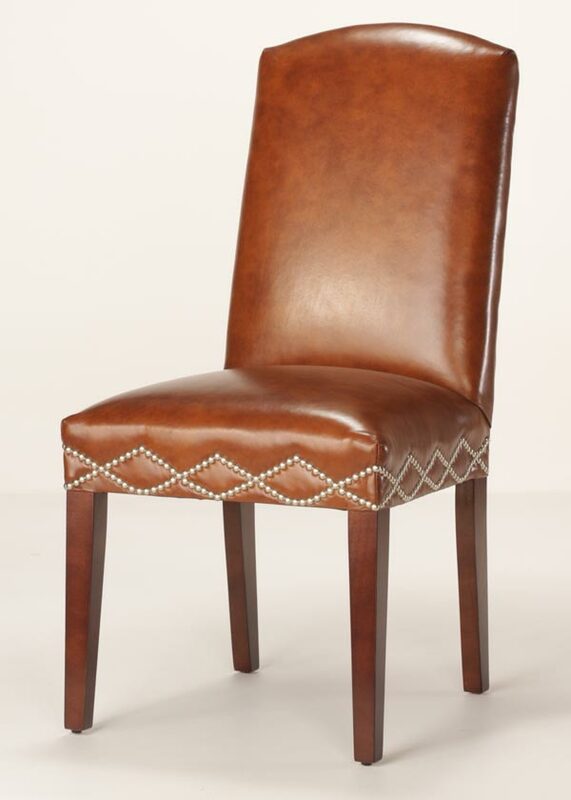 This type of design takes careful planning and a lot of time. 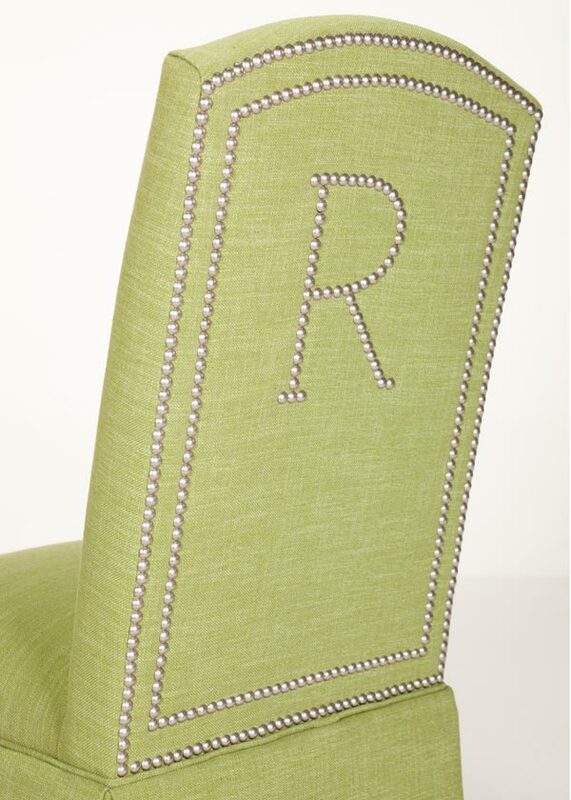 Next to it is a monogram done with nails instead of the traditional method of sewing. Both customers created something unique, which are unlikely to be found anywhere else. 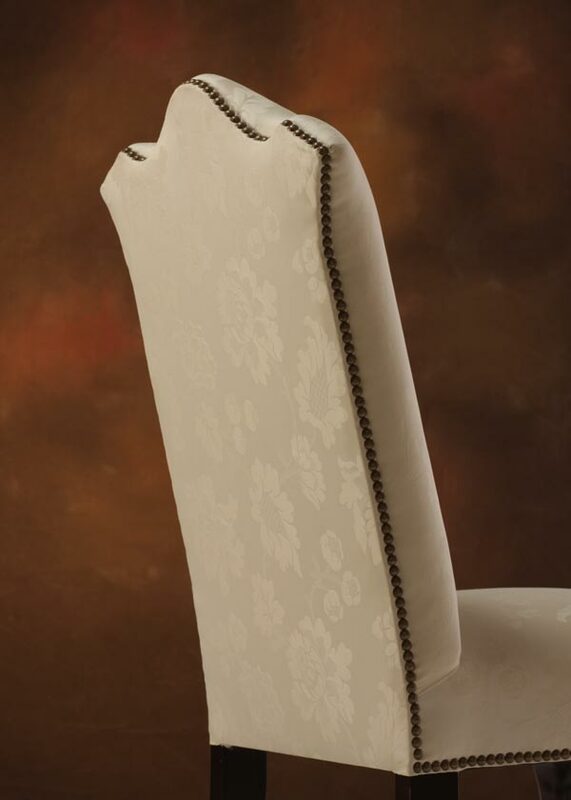 Parallel trim with a nailhead monogram. 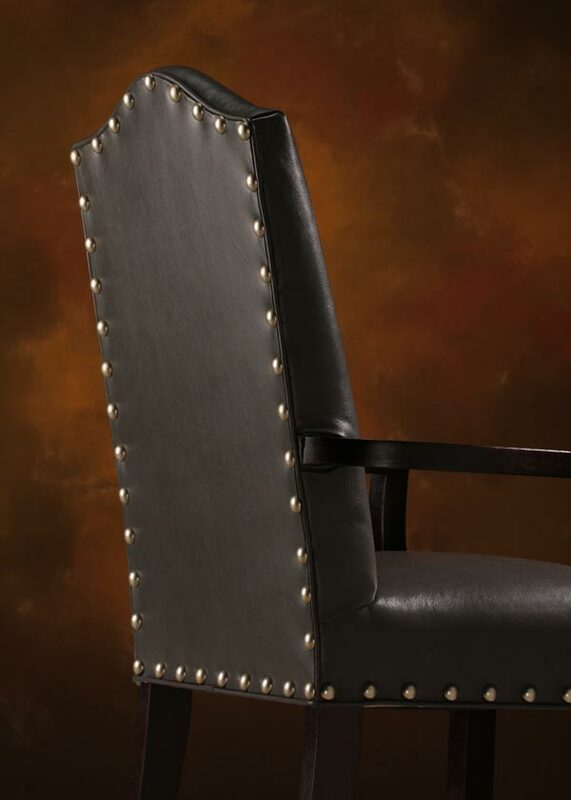 Nails can be placed on just about any part of a chair. The following images should give you some ideas where nails are traditionally placed. Do you want to do something different? 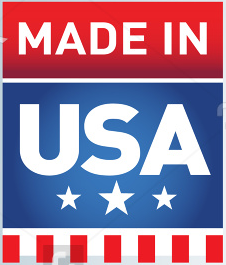 Just give us a call and we will be happy to consider your ideas. 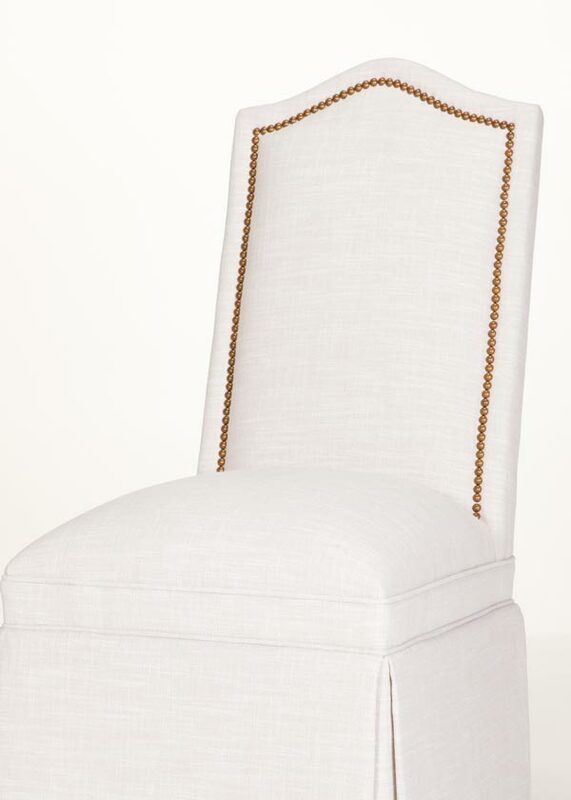 Nailhead as a seat border. 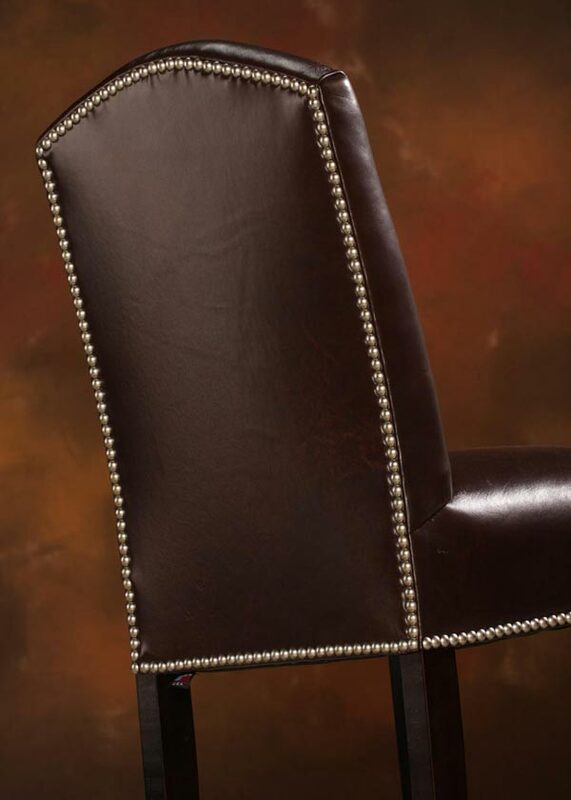 Nailhead around a padded arm.